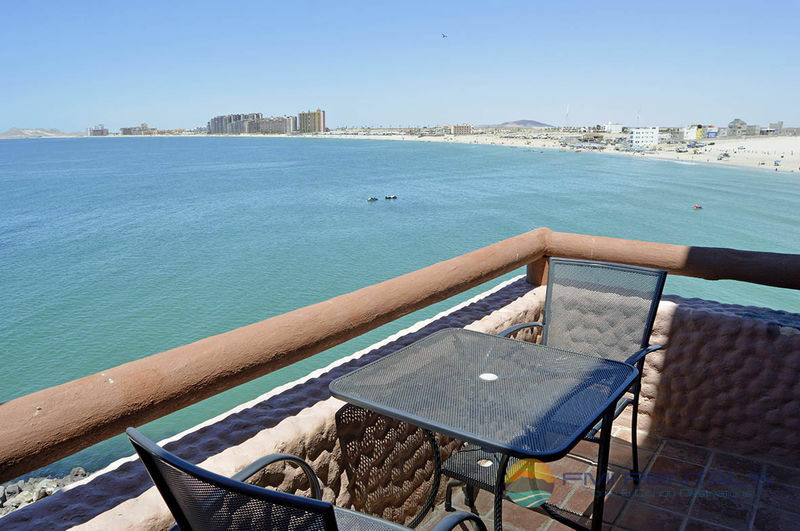 Enjoy the amazingly beautiful panoramic views from this condo! 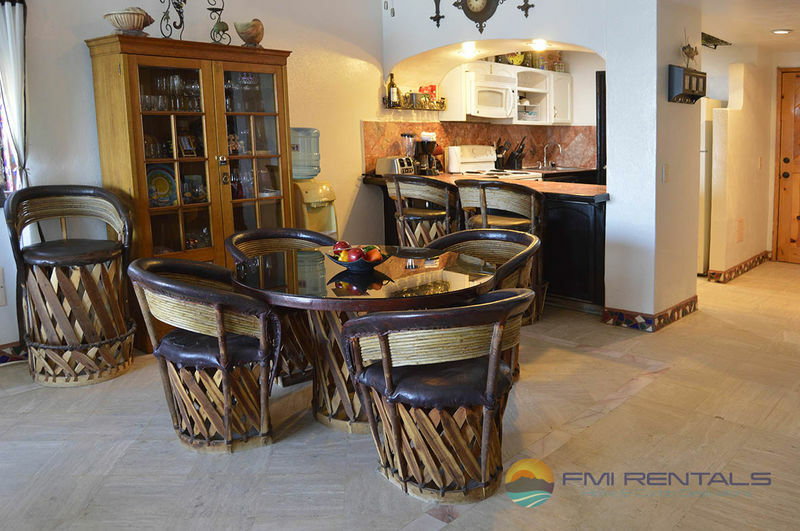 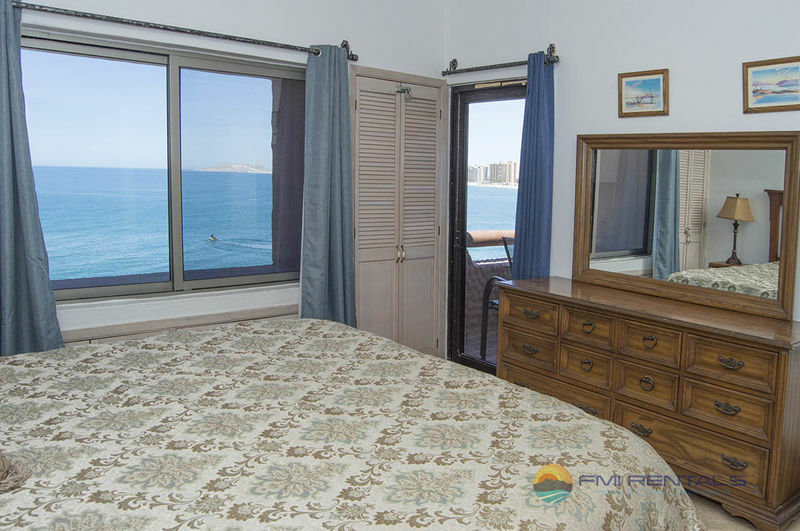 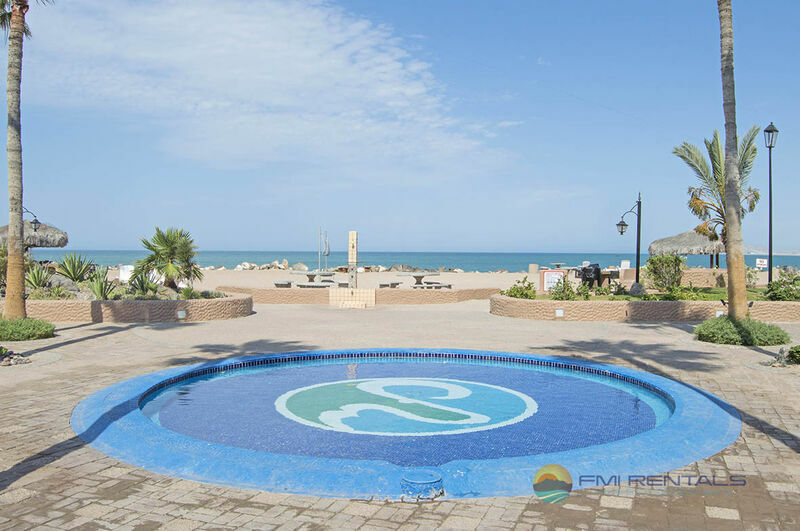 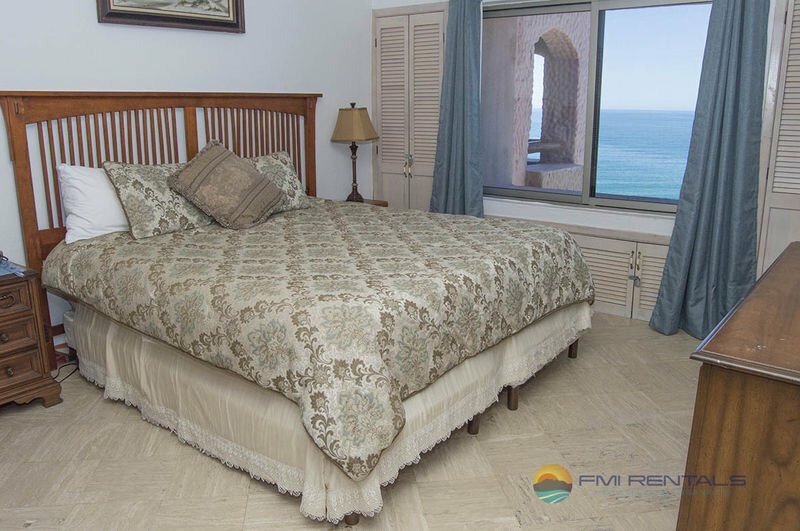 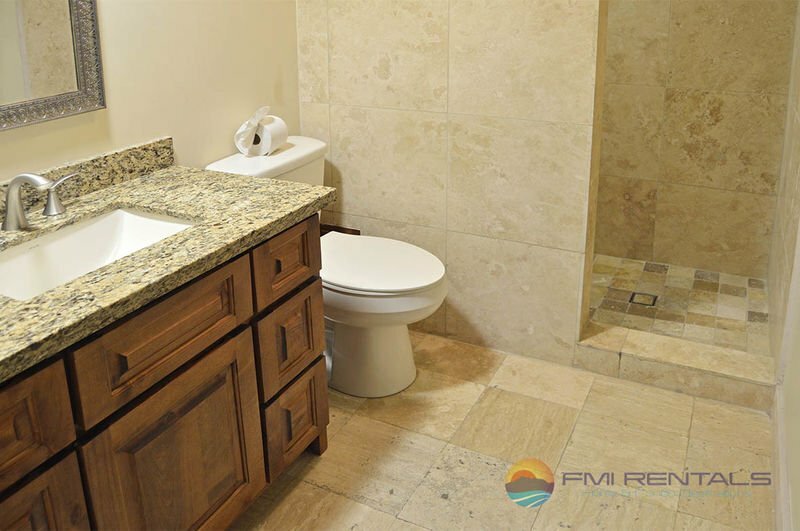 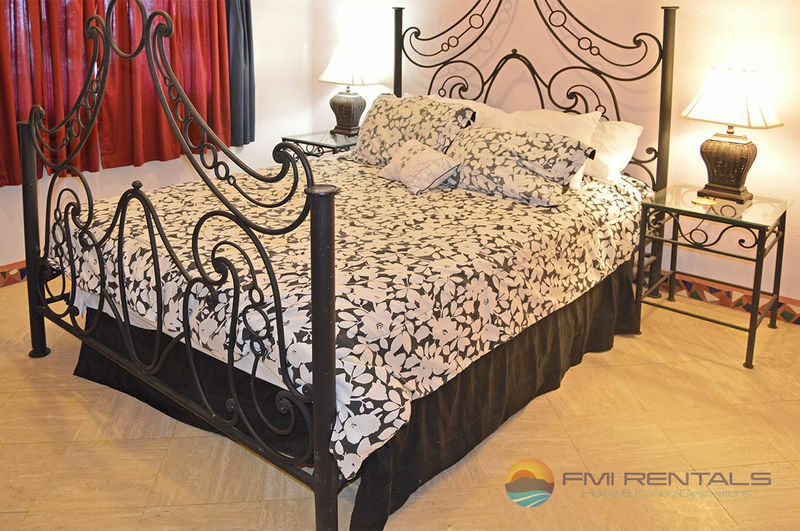 You can see the full ocean, sandy beach, malecon, and sunset views from this 2 BR/1 BA condo, located on top, 5th floor. 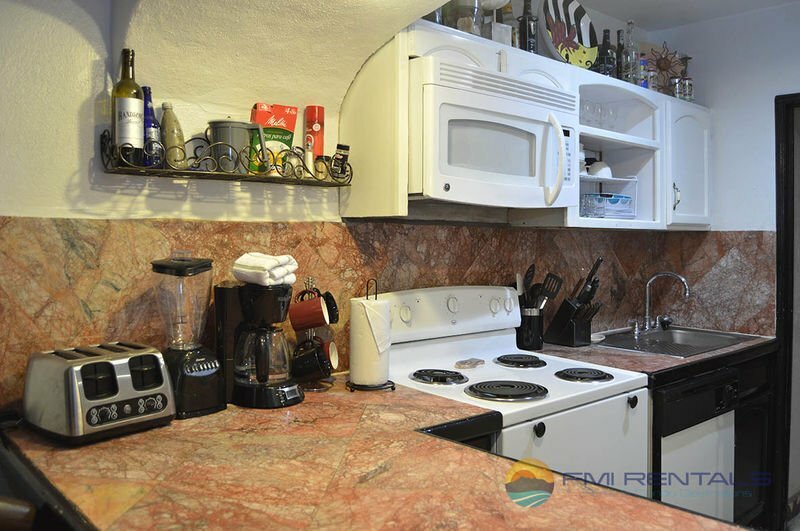 The kitchen has plenty of dishes, cutlery, a microwave, blender, coffee maker, toaster, a full fridge, dishwasher and an oven/stove. 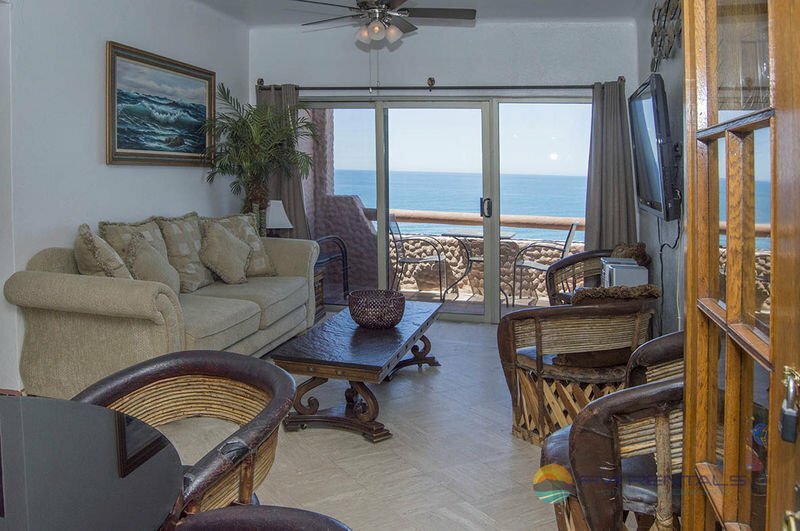 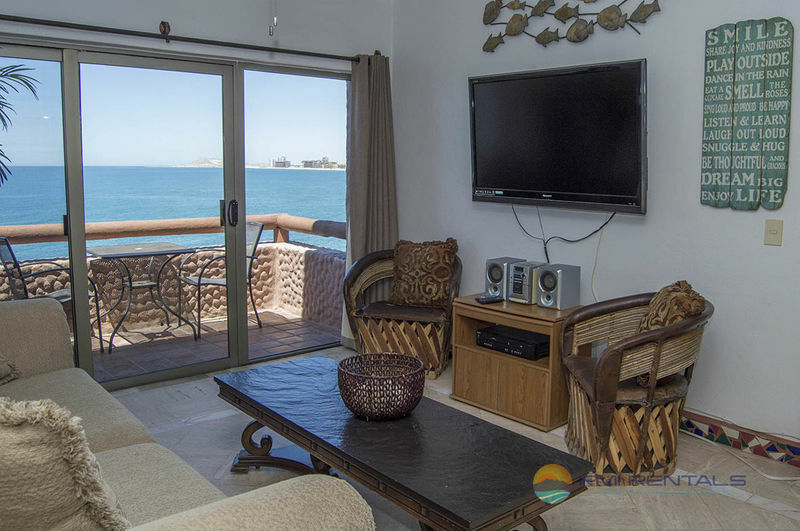 If you choose, this will allow you to have all your meals and drinks at the condo watching the activity on the ocean and beach, or watching the sunset from the patio with seating for 4, or watching a big screen TV inside with cable or a DVD/VCR player. 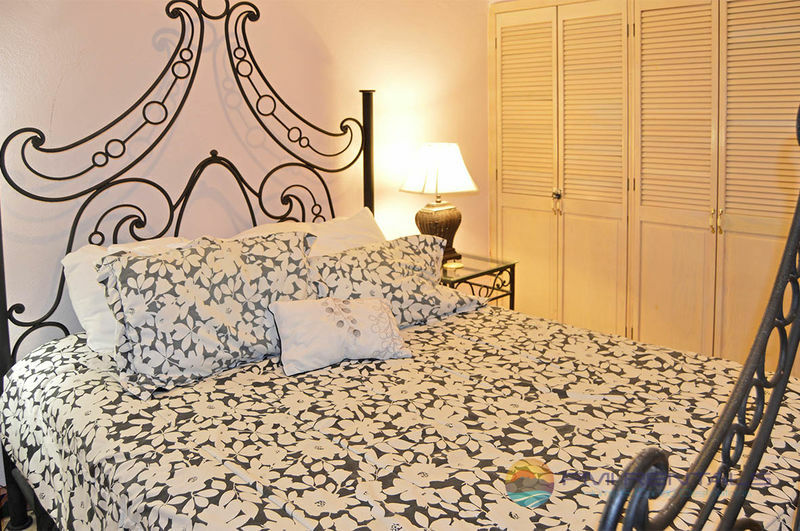 The master bedroom has a king bed, dresser, and night stands. 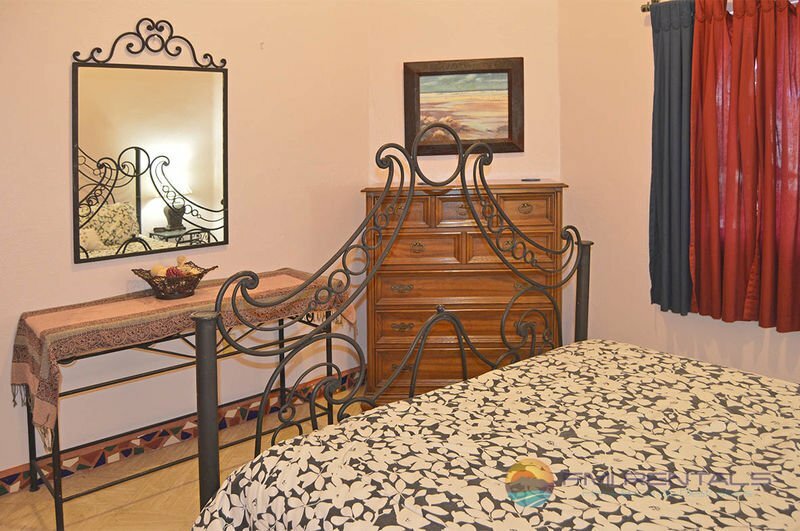 The second bedroom has a queen bed, chest of drawers, and night stands. 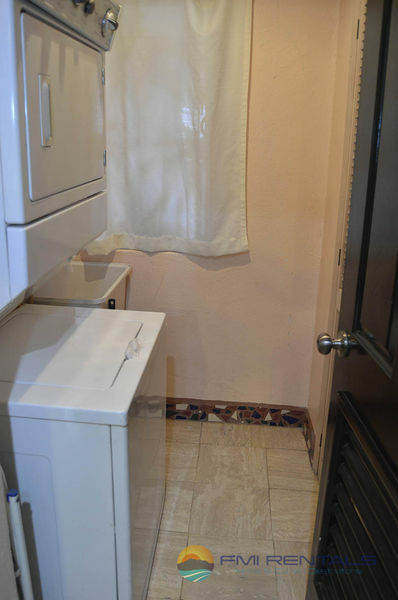 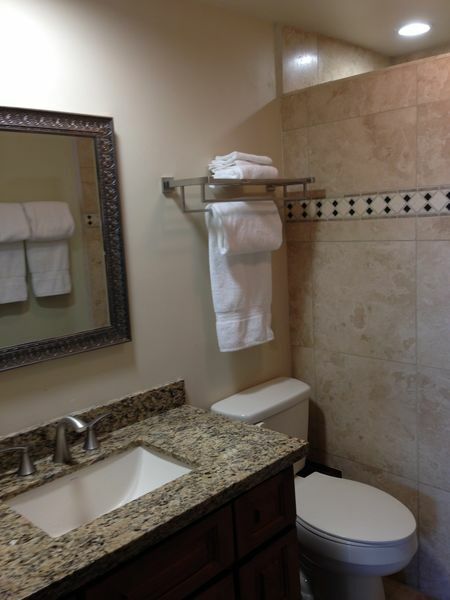 The laundry room has a washer, dryer, and a utility sink. 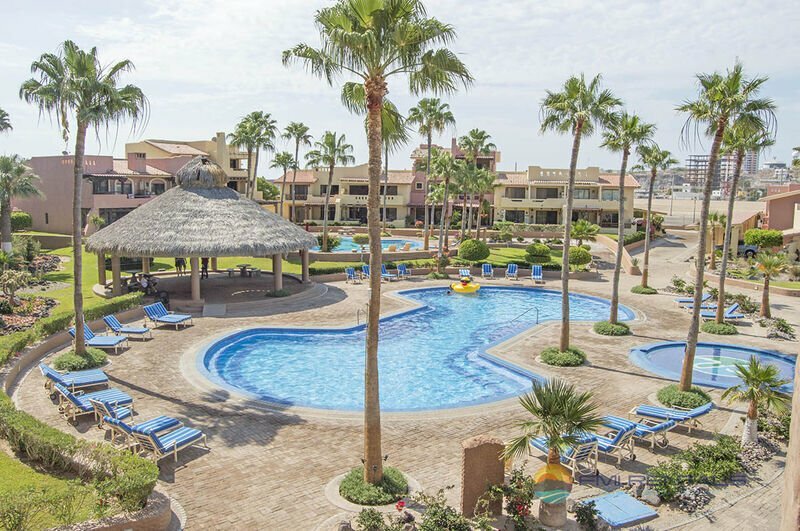 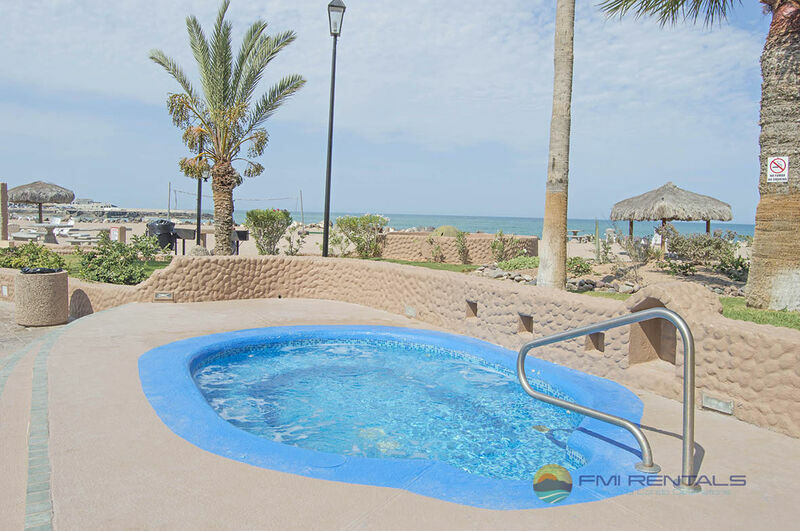 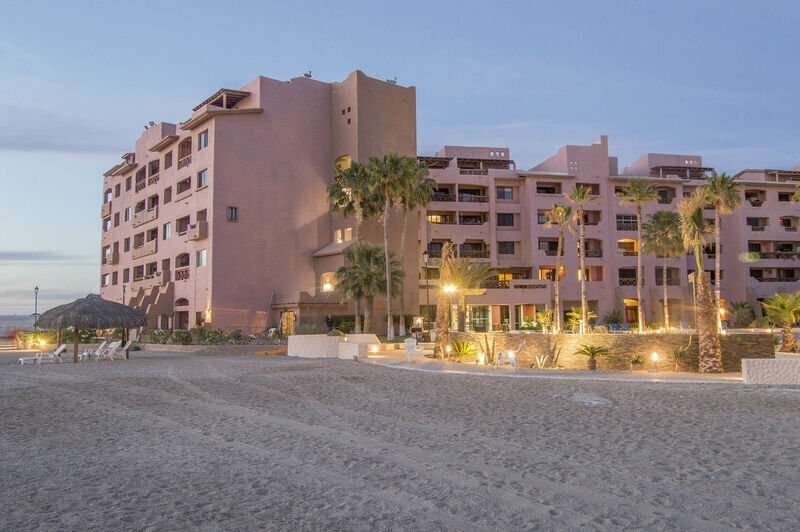 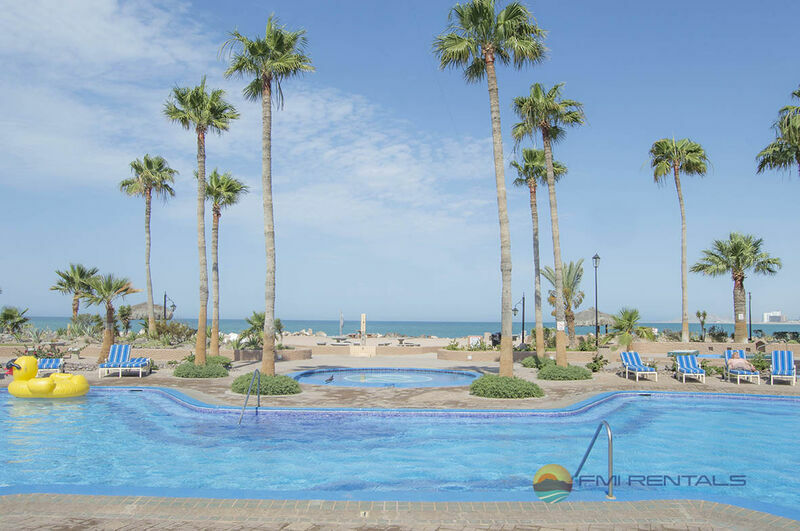 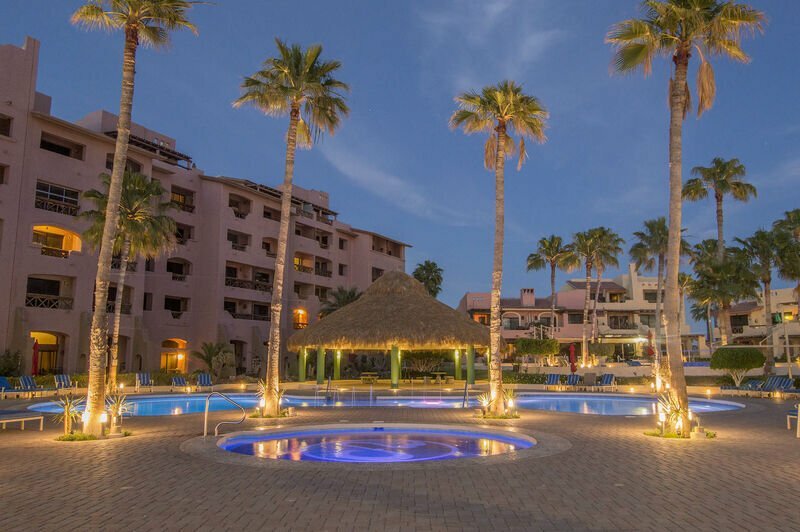 The Marina Pinacate common grounds have a pool, jacuzzi, grills, and palapas. 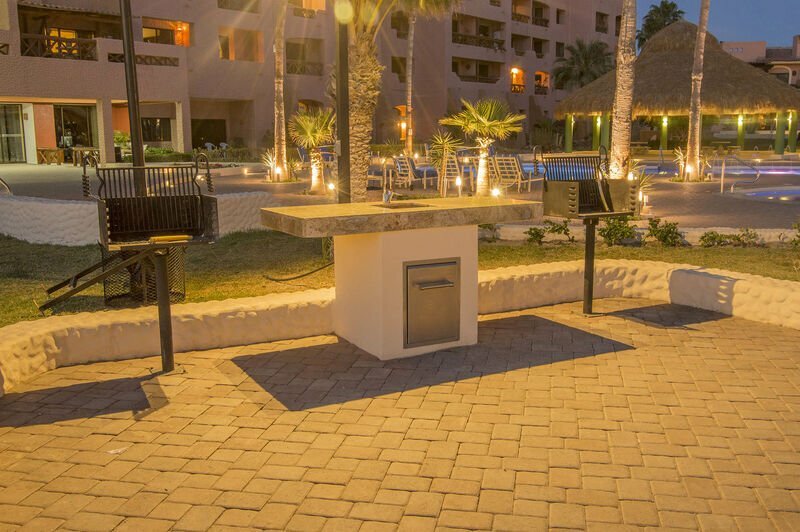 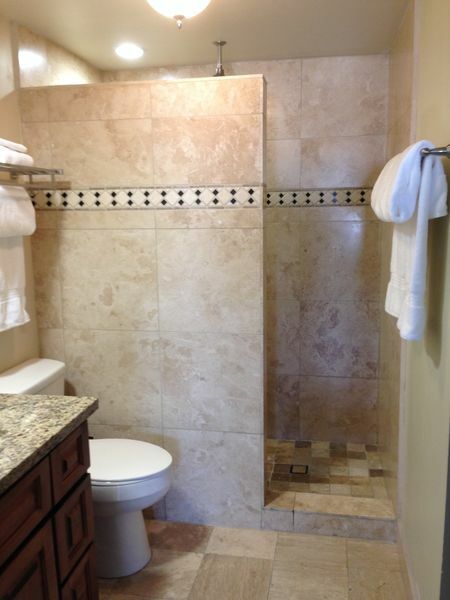 Many restaurants and entertainment are conveniently located within easy walking distance from the condo.